We hear much about Christians, who did nothing while the Holocaust was going on all around them. But not all Christians were passive in the face of this great evil. 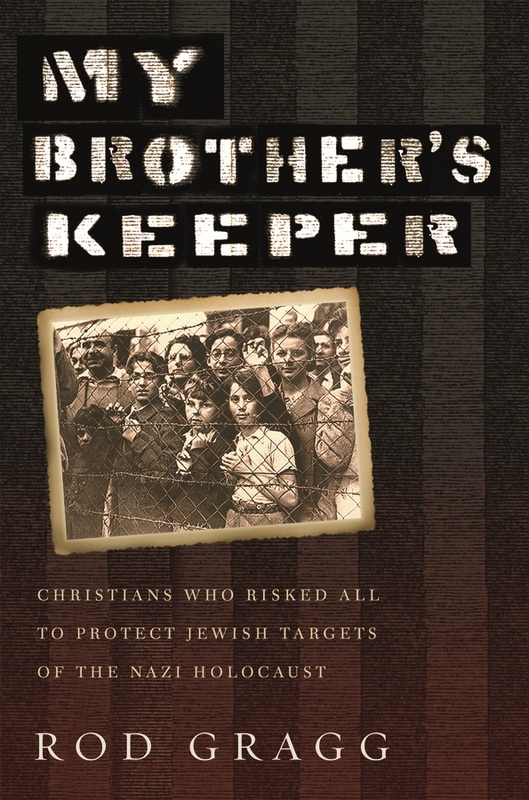 Rod Gragg’s My Brother’s Keeper: Christians Who Risked All to Protect Jewish Targets of the Nazi Holocaust (2016) details the extraordinary courage of 30 ordinary people who believed Jewish lives mattered and did extraordinary things to preserve them. Among the heroes: Scottish schoolteacher Jane Haining, who, when the Nazis came, stayed with her students at a predominantly Jewish boarding school in Budapest, Hungary. The excerpt that follows was taken from chapter 25 of that book. Haining had a delicate appearance that belied a strong Scottish personality and a bold faith in Jesus Christ. She had grown up in a large farming family, had lost her mother when she was only five, and had acquired an independent spirit and a zeal for learning. A bright student in her village grammar school, she was awarded a scholarship to a highly regarded Scottish academy, and then attended college in Glasgow and Edinburgh. She had become a Christian as a girl, had taught Sunday school while still a teenager, and was elated at the opportunity to become headmaster of the girls’ elementary program at the Scottish school in Budapest. …Hitler ordered German troops to invade Hungary in March of 1944 and installed a fascist puppet government… Hitler also demanded that Hungary’s eight hundred thousand Jews be deported for annihilation as part of the Nazi Final Solution… Holocaust organizer Adolf Eichmann arrived in Budapest the day the German army invaded, and with a contingent of six hundred troops took command of the Jewish deportations. Within ten days of his arrival, Hungarian Jews were forbidden to travel, use telephones, do any work besides common labor, or withdraw money from their bank accounts—and they were all ordered to wear a yellow cloth Star of David on their clothing. Soon thousands of Jews were being assembled in Budapest and herded into railway boxcars for deportation to Auschwitz and other death camps. As she sewed the yellow stars on her students’ clothing, Jane Haining wept. Upon learning that the German army had invaded Hungary, officials in the Church of Scotland ordered Haining and the other Scots who worked at the Budapest mission to immediately return home, but she refused. To her, the Jewish schoolgirls she taught were her ‘daughters.’ “If these children need me in the days of sunshine,” she explained, “how much more will they need me in the days of darkness?” It was wrong, Haining declared, “to distinguish one child of one race and the child of another.” Jesus said, “Let the little children come unto Me, and do not hinder them, for to such belongs the kingdom of heaven.” As a British citizen, she was viewed as an enemy by the Nazi invaders, and an informer soon reported her opinions to the Gestapo. As Budapest’s Jewish families were rounded up for deportation, she tried to reassure the children, and kept up a brave face. If her Jewish students were going to be deported to some terrible fate, Jane Haining was determined to go with them. She did—and the Nazis took her first. When the Gestapo came for her, they came in a car with a blaring siren, arrested her, and took her away… The children cried for her as they stood outside the school and watched her get into the Gestapo car. She was sentenced to deportation, and was loaded into a cattle car with the Jews of Hungary whom she had come to serve and had grown to love. Her destination was the Nazi concentration camp Auschwitz… In the early summer of 1944, more than four thousand Hungarian Jews were being killed at Auschwitz every day; and Jane Haining was among them. German authorities notified the Church of Scotland that Haining had died of illness; other evidence, however, revealed that she was executed with Hungarian Jewish women in a gas chamber at Auschwitz on August 16, 1944. By the summer of 1944, most Jews were killed immediately upon arrival at Auschwitz, but as a political prisoner Haining was imprisoned for about two months before she was executed… Prisoners were fed a starvation diet of meager vegetable broth, were awakened at four thirty a.m. for a grueling twelve-hour workday, and slept on wooden racks in rooms that were crowded far beyond their intended capacity. For Jews especially, the labor was intentionally so brutal that many prisoners quickly died of exhaustion. O God, it is your will to hold both heaven and earth in a single peace. Let the design of your great love shine on the waste of our wraths and sorrows, and give peace to your church, peace among nations, peace in our homes, and peace in our hearts; through your Son, Jesus Christ our Lord. Amen. This entry was tagged sacrifice, Stories. Bookmark the permalink. ← 1438) What Hath God Wrought?